You can visit this self storage facility in San Diego on Alvarado Canyon Road. At A-1 Self Storage, we love recognizing facilities that have made exceptional strides each year by designating the top performers as District Distinction Award winners. Last year, San Diego’s Mission Valley team took home one of these awards, and we couldn't be happier! 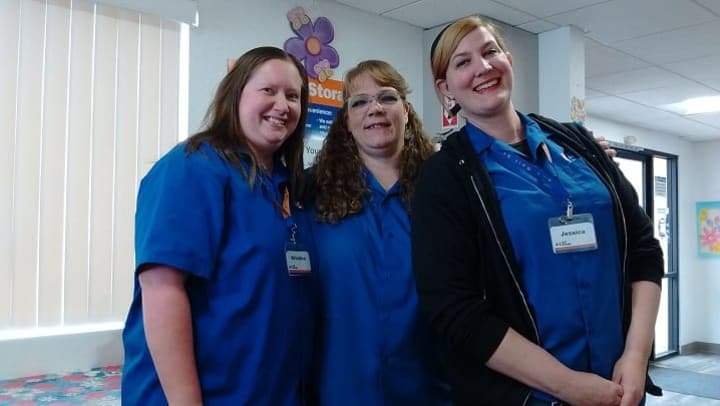 We spoke with the team, Kristina, Shawn, and Jessica, about what it took for them to win the District Distinction Award and all that their facility has to offer the San Diego community. The facility is unique in that the first half was constructed in 1984, and an addition was completed in 1999. With both sections combined, the facility has 1700 units and was built with extra-wide lanes to accommodate customers driving even the largest moving trucks. Normally access hours are 7 a.m. to 8 p.m. Jessica says these hours are particularly convenient for customers who may be coming to the facility after work ends at 5 p.m.
“We don’t want people to rush. We want them to be able to come and get into their storage units and do what they need to do,” Jessica said. Jessica noted that A-1 Self Storage does offer units that feature 24-hour access. Of course, those units are in high demand. There is currently a waiting list, so sign up today if you’d like one in the future! While you may have to wait for a unit with 24-hour access, the rest of the facility offers some of the most extensive 24-hour security around. The main entryway is equipped with a heavy-duty gate that features a keypad access control system. Each unit is individually alarmed, and cameras surveil the facility grounds. That may sound like a lot, but customers simply use a code to come and go during access hours. Since this Mission Valley location is a multi-level facility, A-1 Self Storage makes it easy for customers to move their belongings from floor-to-floor using freight elevators. While customers aren't allowed to ride inside these freight elevators, that does mean more can be moved per trip. Between elevator trips, customers can use one of the many push carts stationed around the facility to move even large furniture. After talking with Jessica about all of the amenities that this location has to offer, and hearing how great the team is, it’s no wonder that A-1 Self Storage in Mission Valley was chosen as one of the District Distinction Awards this year! Well done, everyone!